Marvel gel whitening scrub for brighter smoother skin! 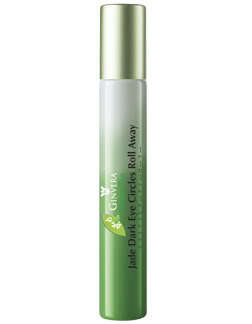 GINVERA WHITENING MARVEL GEL & JADE DARK CIRCLE EYES ROLLER IS THE NEW CRAZE IN TOWN!! Every night before i go to bed, Jade eyes roller's my best friend.. I used them before i go to bed and the next morning my eyes are least wrinkle and dry. Easier to apply your concealer or makeup after using them. Jade roller is more hygienic than other rollers as it has energy to inhibit bacteria. So far, the result of lightening is little, but the moisturising is good! My eyes feel least dry and wrinkle when i apply my makeup in morning.